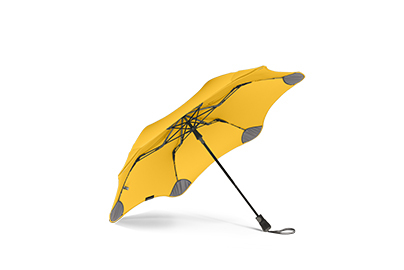 BLUNT Umbrellas (Japan) | The World's Best umbrellas. Designed by New Zealand. 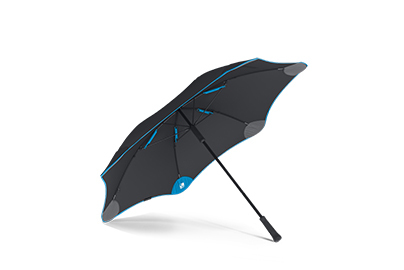 the Blunt umbrella’s intelligent design might actually convert this hater"
Blunt™ umbrellas are designed from the inside out. A Blunt™ is not just another pretty umbrella. 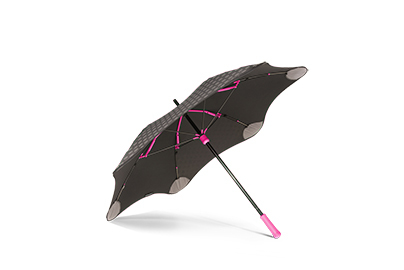 Our umbrellas feature patented Blunt™ tips and telescopic ribs that form an integral part of our unique radial tensioning system (RTS) creating the world’s only fully tensioned umbrella. 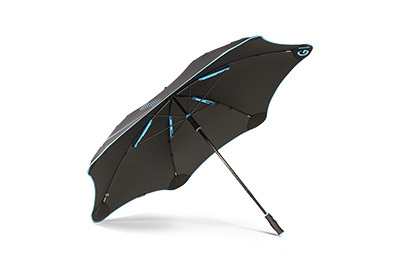 It’s one thing to make one perfect umbrella but another to make a perfect umbrella every time. With our relentless passion to create the best possible umbrellas, we put every single umbrella through a 38 point quality control check before it reaches you. 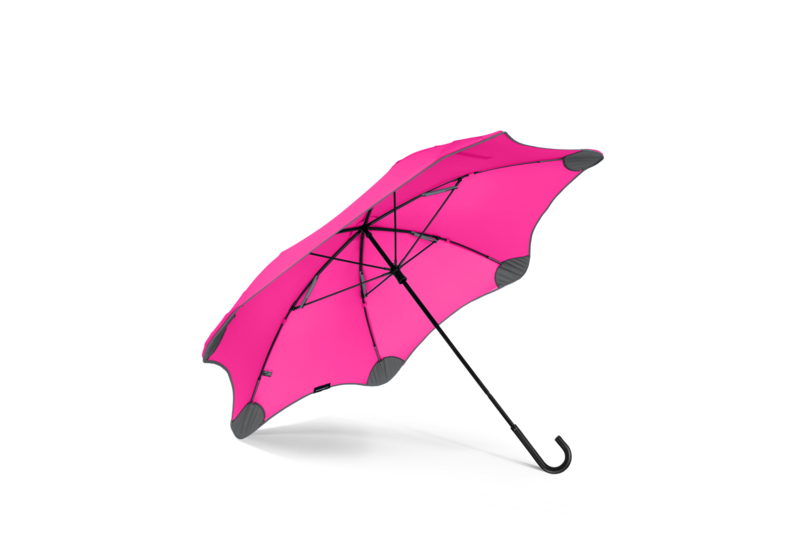 Wind is what puts most umbrellas into landfill. As part of our design process, all our models are independantly wind tunnel tested to speeds well in excess of every day use. And because most people never use umbrellas inside wind tunnels, we also use real world testing to make sure our umbrellas perform. We break them so you don’t have to. Every year, millions upon millions (upon millions) of umbrellas break in very ordinary weather conditions due to poor design, cheap materials and cost cutting manufacturing. Blunt™ is an entirely new rethink of an outdated product design. 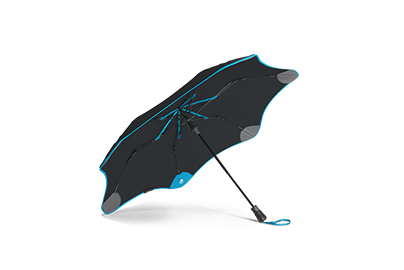 Don’t let rain stop play. 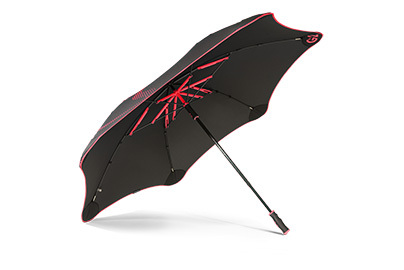 While most umbrellas fail at the slightest hint of weather, Blunt™ loves all weather conditions. Once you’ve used a Blunt™ you’ll realise how umbrellas should always have been. 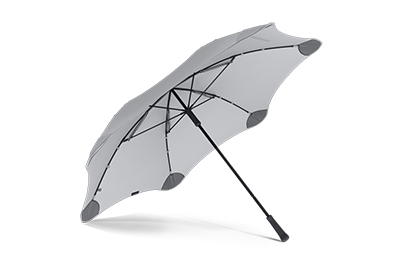 As well as keeping you dry, our fabric is UVR classified to provide UV-protection. 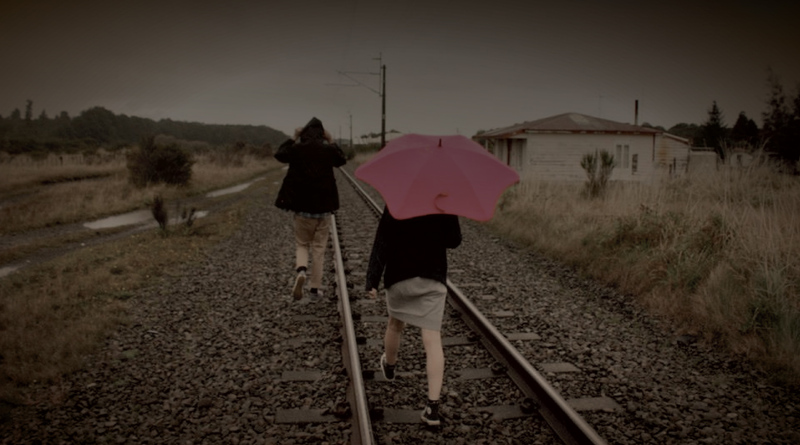 Come rain, hail or shine, we love weather. Our belief is that we don’t want to make products that just end up in landfill. 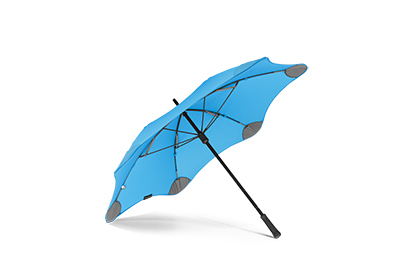 As part of the solution to this problem, our umbrellas are designed to be repaired and not thrown away. In the unlikely event that a Blunt™ fails and we can’t repair it, we will replace it.